Columbus Regional Healthcare Emergency Department. Photo by Les High/The News Reporter. This is the fourth story in a six-part series on mental health and substance use in Columbus County. Today, The News Reporter and Scalawag look into the forces that shunt patients with mental health crises into hospital emergency rooms. On Thursday, Part V will look into how behavioral health shortages affect young people in Columbus County, with an eye toward schools. In the lobby of the Columbus County Health Department sits a mental health kiosk. The front line of the county’s mental health services, the kiosk is provided by Eastpointe, the “Local Management Entity/Managed Care Organization” (LME/MCO) in charge of the state’s mental healthcare in the region. The kiosk stands just outside the Health Department’s bathrooms and in full view of anyone entering or leaving the building. Wings extend from its sides to shield the computer’s screen. The patient, though, remains fully visible. The kiosk was blocked from browsing the web, so the database of Eastpointe providers would not pop up. The connected consultation hotline did, at least, reach an Eastpointe operator. “I do not know that that service is appropriate for a severe or persistent mental health individual in our community,” says Brittany Josefowicz, director of clinical operations at Coastal Southeastern United Care. The kiosk forms part of what many in Columbus County describe as ineffectual pre-crisis treatment options. Last week, this series looked at how the lack of early-intervention services leaves many mentally ill dealing with law enforcement, often in jail, while others simply self-medicate. Many with urgent issues, lacking effective treatment options, instead find themselves marooned in the emergency room, waiting for days. Some of those patients check themselves into the emergency room, some are brought in by paramedics, and some are involuntarily committed, transported by police. Hill estimates that they usually stay from two to four days waiting for a bed in a psychiatric hospital to open up. She has seen patients stay up to four weeks. Emergency departments help patients in the midst of a crisis to stabilize, Penrose says. Patients who are dealing with substance abuse issues begin to detox while in the hospital. Thanks to telepsychiatry, in which psychiatrists elsewhere see patients through videoconference, many are able to have a psychological consultation and begin a course of medication. But emergency rooms can also create an environment in which a “psychiatric patient slowly deteriorates,” according to a 2008 publication by the U.S. Department of Health and Human Services. Emergency departments are not designed to deal with patients in acute psychiatric distress. The attention those patients begin to receive there is mostly preliminary. In the latter half of last century, large hospitals catering to patients in need of intensive psychiatric care were downsized across the country, as advocates called for a model that kept patients in their communities. The publication of Ken Kesey’s One Flew Over the Cuckoo’s Nest in 1962, and its adaptation into a movie thirteen years later, helped sour public opinion against the sort of huge psychiatric hospitals it depicted. In 1981, the federal government began providing block grants to states to support their uninsured mental health patients, ending direct federal involvement in the provision of mental health services while cutting federal spending on mental health by 30 percent. That pattern—deinstitutionalization giving way to defunding—took hold in North Carolina. In 2012, Dorothea Dix, the state’s flagship psychiatric hospital in Raleigh, closed after a long wind-down. At its peak, in 1974, Dix housed more than 2,700 patients; by the early 2000s, that number had dipped below 700. State facilities followed suit: in 2005, North Carolina had 1,461 beds, according to the national Treatment Advocacy Center, but by 2016 that number stood at 892. That translates to 8.9 public psychiatric beds for every 100,000 people, a far cry from the 50 beds per 100,000 recommended to meet the populace’s need. One result is that North Carolinians with severe mental illnesses are 3.5 times more likely to be incarcerated than hospitalized. Those outpatient needs, combined with more expensive psychiatric medications, add costs to the state’s mental healthcare system, which state funding has failed to match. “Clearly there’s a shortfall in funding outpatient services that could adequately sustain people in the community,” says Domino. In 2000, a state auditor’s report suggested that North Carolina close down Dix hospital and reorganize its mental healthcare system. The report also recommended increased oversight of mental health services by each county. Until that point, North Carolina counties offered mental health centers that served as both care coordinators and service providers themselves. But the state instead decided that dual role was a conflict of interest, and moved toward a privatized model—centered around LME/MCOs like Eastpointe—hoping to provide more efficient care. Since then, banking on that increased efficiency, the state has slashed spending on mental health. In 2001, the year that Governor Mike Easley earmarked the first $41.5 million to start a fund to support community health care, the state immediately reclaimed $37 million of that money to cover up budget deficits. That trend has continued. In 2015, the state held back $110 million in funding from LME/MCOs. The state’s 2017 budget withheld another $86 million in funds, and $90 million more in the coming year. In 2014, when the Affordable Care Act offered states federal support for expanded Medicaid services, North Carolina declined the funds. As a result, experts suggest 300,000 to 500,000 North Carolinians who would gain Medicaid coverage are instead uninsured. Where state funding falls short, hospital emergency rooms act as the safety net, catching patients that otherwise find themselves with nowhere to go. But the additional emergency room visits are themselves quite costly. A study this year by Johns Hopkins found that uninsured patients nationwide are charged an average of 4.4 times as much as those with Medicare for the same emergency room services. When patients absolutely cannot pay, those costs are swallowed by the hospitals themselves, and passed on to the state and to insured patients in the form of higher bills. For uninsured patients who can pay, those costs are more extreme. A 2016 study by the National Bureau of Economic Research found that patients without insurance who are admitted to a hospital double their chances of filing for bankruptcy within four years. There is, in fact, some crisis management strategy locally. Josefowicz, of Coastal Southeastern United Care, directs assertive community treatment (ACT) teams based in Shallotte and Pembroke whose domains extend into Columbus County. These teams are designed specifically for patients dealing with the most destabilizing psychiatric illnesses: schizophrenia, bipolar disorder, major depressive disorder with psychotic features, and schizoaffective disorder—in which patients experience schizophrenia with a mood disorder overlaid. The ACT teams are made up of a psychiatrist, nurses, vocational and substance abuse specialists, social workers, and peer counselors who have gone through similar issues. They pay house visits—and, at times, street visits—to these patients, many of whom have trouble organizing their own medical care and making appointments. The ACT model was adopted, Josefowicz explains, to divert the severely mentally ill from ending up in emergency rooms or jail. It was intended to be a lifelong treatment model, in the most severe cases. But ACT team capacity is limited both by time and resources, and by LME/MCO decisions about which patients to send its way. As he was on his way out of jail, one of the LME/MCOs that Josefowicz works with contacted her to do an assessment of this patient. Josefowicz also directs Coastal Southeastern’s other clinical services, but decided, forcefully, that the patient needed ACT treatment and said as much. But he did not have Medicaid, so was instead going to be funded by the “single-stream” funds that support health care costs for uninsured North Carolinians. Without insurance, ACT services were denied. Neither side budged. The patient did not get admitted for any services despite his psychosis presenting an obvious public health hazard. He committed another crime, and went back to jail. When he got back out, he was able to get on disability and to get Medicaid, and eventually find his way to ACT services. He is currently being served by one of Josefowicz’s teams. This was not a job for a kiosk. “What is really mind-blowing is we have experienced this scenario time and time again: We discharge someone, because the MCO thinks that they can function at a lower level of care, and even though we push back—we do a peer review, we go through appeals—they say no, we gotta drop them down to a lower level.” Where that service drop-off was once a function of treatment outcome, it recently has become a function of time—Josefowicz says her LME/MCOs are now instructing her to downgrade her ACT patients after two years of the service. Besides the stress that emergency rooms cause psychiatric patients themselves, their influx can reduce the quality of care for the other people admitted, too. Research has linked emergency room crowding with increased patient mortality. While they represent a small portion of those admitted to emergency rooms, patients in psychiatric crisis hold emergency beds much longer than their non-psychiatric counterparts. 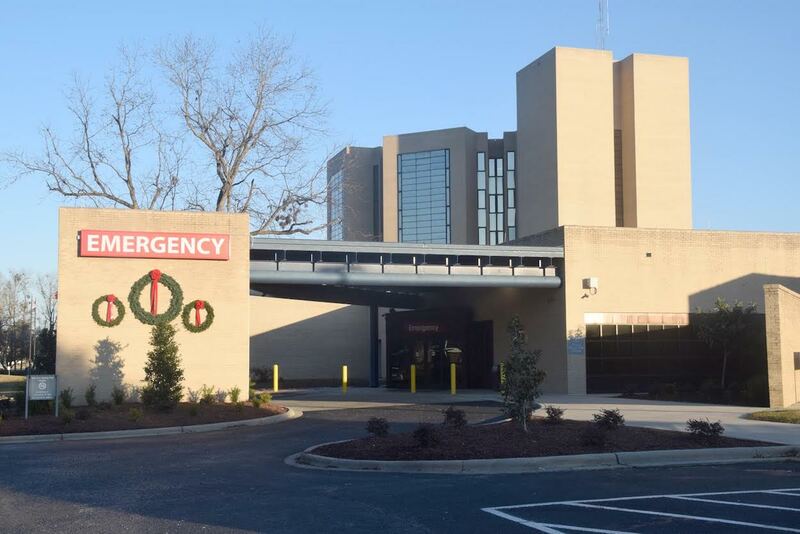 Donna Hill, the emergency department nurse, recalls a November day with seven such patients occupying nearly half the hospital’s emergency beds. Each one of those patients is watched over by a nursing assistant, to ensure that they are not able to harm themselves or anyone else. That means calling people in on their days off, and fewer eyes to put on other patients. Hill says that many of the mental health patients that she sees there are repeat admissions. In the end, the ER workers get to know these patients well. Despite scarce resources, many in Columbus County are crafting ways to address the mental health crisis in their community. And they're looking for the state of North Carolina to do more. With increasing rates of substance abuse among parents, schools are scrambling to adapt to non-academic challenges and are striving to work with students more holistically to address behavioral and emotional needs. With public mental health care decreasing and involuntary commitals on the upswing in recent years, law enforcement officers are now de facto first responders for many experiencing mental health crises.